A couple of months ago some mates and I found an almost forgotten plane crash monument commemorating a WWII Avro Anson Bomber that crashed in 1940 killing all 4 crew on board. Below are some links of the incident and information that I have provided to these websites. After visiting this site I was quite dissapointed that this part of our wartime history had almost been forgotten due to mimimal information of the incident and no maintainence of the area. Long story short is that I have contacted many military and government orgainsations to have this area restored. The Department of Environment & Primary Industries (DEPI formally the DSE) have granted me formal approval to restore the monument site and access track with the assistance of a volunteer group. The DEPI have been extremely positive & helpful with this proposal and it is a great step forward for outdoor enthusists to have access to an improtant part of our history. It also highlights the willingness of the DEPI to provide access to these types of areas rather than the unfortunate neagtive press that they normally recieve with closures and restricted areas. 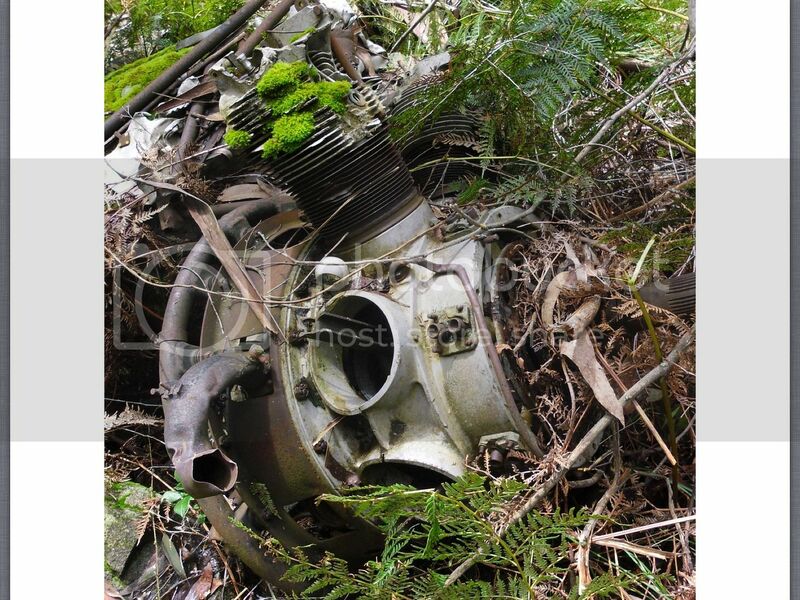 I have also made contact with a family member in the UK of the pilot of the aircraft and he and his family are thrilled that the site has not been forgotten and will be restored so that all walks of life can attend to pay their respects and appreciate one of many wartime incidents that occured in Austraila and not on a far away battlefield. The volunteer group is established and I am on a bit of a recruitment drive for more volunteers, particuarlly people with accredited chainsaw qualifications supplied by a RTO as this is one of the DEPI requirements for using chainsaws working under their permit. If any of you would like to be a part of the restoration which Im hoping for phase 1 to commence at the end of October, send me a PM and Ill add you to an email list that will provide you with all the relevant details of what is happening and when. Thank you for taking the time to read this post and I look forward to possibly working with you on this unique and special project. Last edited by Neat 60 on June 23rd, 2014, 9:21 pm, edited 1 time in total. Are there any other requirements you need or just people? I do not have a chainsaw accreditation but am would like to give my time for this. Hi mate, thanks for replying. If you've got arms and legs you have the main requirements covered Chainsaw accreditation is only for the those that will be using chainsaws as its a DEPI requirement for their insurance purposes as we will be working under their permit. if you're interested in being a part of the group PM me your email address and ill add you to a mail out list. Only wish we could be down there to help, but couldn't get away from work at the end of October. The weekend of the 26th-27th of October (2 weeks from now) we will be up at the site to finish the mapping of the long overgrown track with the possibility of starting some clearing on the Sunday. The DEPI will be granting us access to a normally seasonally closed gate so we can access a near by campsite for the Saturday night. So you are going to be working on one of those tracks that is usually closed off & has become pretty much overgrown!?? And the only cost is that you've gotta map it & do a little bit of track maintenance and clearing?!? Bleedin heck, you had to pick a time I just can't get there, didn't you!! Please get some pics and post up a trip report, there's some great country out that way, and lots of good driving that has been lost around there due to the closure of tracks and the bush enroaching on them over time. Just getting in there will probably be a bit of a challenge, and in that country around Eildon/Jamieson Rd, there's some really fantastic scenery & flora/fauna. You might even be serenaded overnight by amorous Koala's!! Which end are you going in from, the Snobs Creek side or off the main Eildon/Jamieson Rd?? I'd guess it's gonna be pretty much all uphill whichever way you go, and even at the end of the month that area is still going to be reasonably damp, could be a whole lotta fun! I am a tad jealous! This time of year due to the seasonal closures access is only from the Eildon-Jamieson Rd. During the summer months Snobs Ck Rd from the Eildon side or Royston River Rd from the Marysville side will put you onto Barnewall Plains Rd and up onto the Barnewall snow plains. 2 weeks ago standing at the bottom of the monument with a snow capped Mt Buller in the distance was a sensational sight to see. The RAAF and 4wd Victoria are now officially on board . Will 4WD Vic be putting it out to their member Clubs, do you think? Yes they will be. I've spoken with the CEO and the Events Coordinator directly and they're going to put it out to some clubs. As you would know a lot of clubs conduct chainsaw training through a RTO for their members. The other thing is that many clubs down here conduct track clearing before the seasonally closed gates get opened up. So with that and the chainsaw accreditation, it basically ticks two boxes for this project if a few clubs jump on board. You going to hit up the RAAF for a few aerial pics, or maybe some help from their 'ultimate recovery tool', you know, one of those things with an airflogginfan on the roof & tail?~! Hmmm now you've got me thinking, we could use one perhaps... Last time we were there we found this on the side of the mountain. I had a fleeting thought it would be great to get it up to the monument so all could see it once the area is restored as its not easily accessible in its current location. Although its most likely been sitting in that exact spot for 73 years and morally it probably should stay where it is.